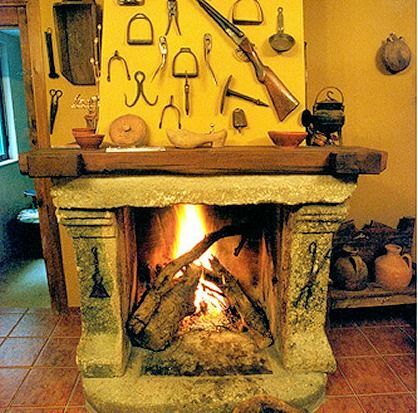 The Rural Tourism House El Corral de las Arribes is in a historic village in Salamanca called San Felices de los Gallegos. It is situated in the privileged natural and landscape setting Las Arribes del Duero Nature Reserve. The House is in the centre of the monumental part of the medieval village that was declared Historic-Artistic Heritage in 1.965 and it was also given the C Award in Tourism by the Junta de Castilla y León in 1.995. During their stay in San Felices, travellers will enjoy the comfort and peaceful of our house which, with an exceptional rustic-style decoration, has five double bedrooms with bathroom, lounge with fireplace, kitchen, food store, courtyard with barbecue, telephone and garage. Talking about the rich monumental and cultural heritage that this village has, we have prepared a complete historic and artistic itinerary through the interesting military architecture of its impressive Castle, head office of the Historic Hall of San Felices, because of the religious architecture of its parish church, convent and hermitages and its typical streets and old typical architecture.